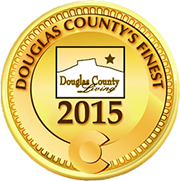 Congratulations Best Lawyers in Douglas County 2015! Thank you so much to everyone who voted for Douglas County’s Finest awards. Folkestad Fazekas Barrick & Patoile, P.C., is proud to have been voted by the readers as the best attorneys in Douglas County.